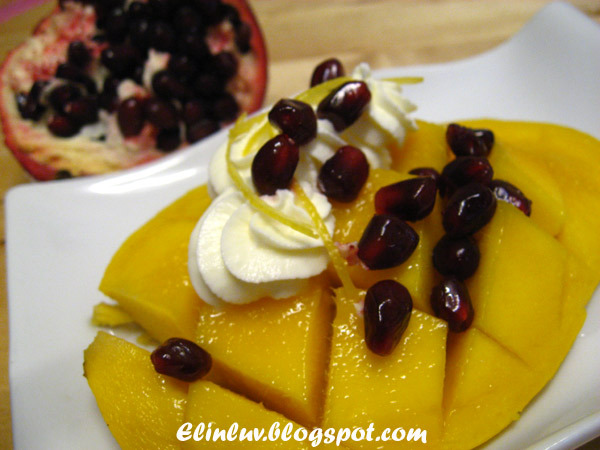 Elinluv's Tidbits Corner: Mango Pomegranate & Cream...Anyone? weight during the work project lol! cream and mango and pomegranate...anyone ? 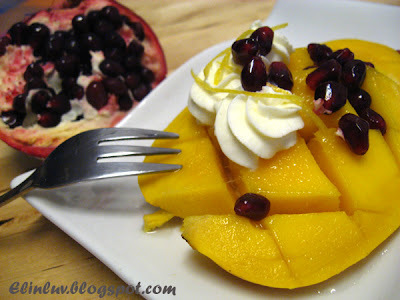 Mango and Pomegranate!! YES PLEASE!! Simple and delicious. I can eat this all the time. 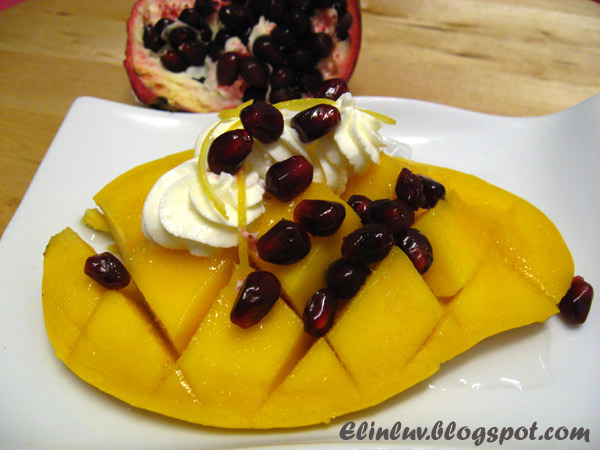 Mango is my favourite. i wannnnn....aiyo....i am going to pengsan liao. There's an award for you at my blog. Feel free to pick em up! I love pomegranate. I love picking and eating it one seed at a time in front of the TV. 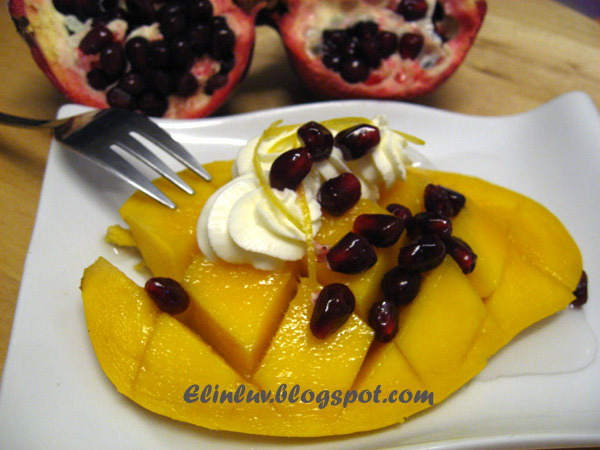 This is very delicious and healthy! I don't mind to eat extra. Tracie...thanks for the award :) I am honored.